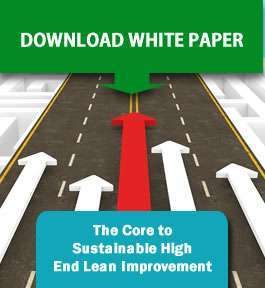 This short white paper by Prof. Peter Hines looks at what is at the heart of creating a sustainable lean journey or what happens when a lean journey has plateaued. He illustrates it is critical to understanding what a ‘lean’ or enterprise excellence journey is all about and where you are on the journey. Typically, in the first part of the journey people start with the tools and then realise that this does not sustain well. Hence, they start the second stage and start looking at system such as ‘order fulfillment’ or ‘strategy deployment’ using well known tools. So what are his thoughts? To find out just download the paper by clicking the green coloured download link. Peter is also undertaking his very popular Masterclass workshop where students will be visiting award winning organisations that include Abbott and Rottapharm to name just a few.